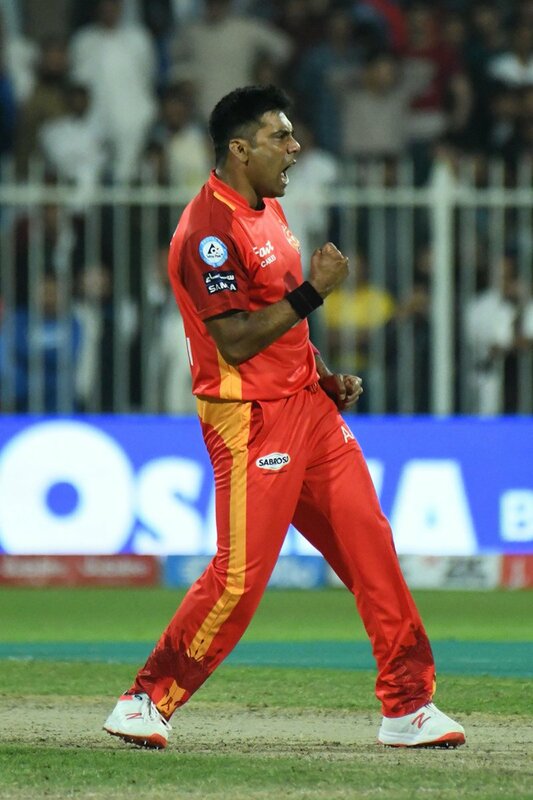 Muhammad Sami the skipper of Islamabad United turned the game around in the last over by picking up a hat trick. It was also an epic cricket match followed by the match between Lahore Qalandars and Multan Sultan. On winning the toss Darren Sammy chose to bowl first, the moment when he lost half of the match because Zalmi is a very strong bowling side than batting and it might have been better if they had gone for defending rather than chasing a total of over 150. Islamabad United was OK with their batting performance as Ian Bell scored 54 of 46 balls. They manage to score 158 for the loss of 9 wickets. Hassan Ali was again brilliant and picked 2 wickets in that cricket game. The run rate for Peshawar Zalmi was a fraction below 8 and it was not a big ask in cricket and particularly for the small ground of Sharjah. Zalmi did not have a good start with bat and wickets were falling in quick successions. That was the moment when Big lad Kieron Pollard took the charge of the things and smashed 5 huge sixes and 3 fours. He scored 51 of just 22 balls and when cricket became alive for Peshawar Zalmi both the Kieron Pollard and Darren Sammy lost their wickets in quick succession. At that moment Wahab Riaz showed some resistance but it couldn’t come off. The skipper Muhammad Sami who hasn’t picked a single wicket- picked up 3 wickets of 3 balls after being hit by a six of the first ball by Hassan Ali. A useful Hat trick ends the result in an important victory for Islamabad United.